Eric M. Steven (Eric M. Steven P.S.) is a sole practitioner in Spokane with a practice emphasis in the area of landlord-tenant relations and housing. He practices in both state and federal courts in all counties east of the Cascades in Washington and Northern Idaho. 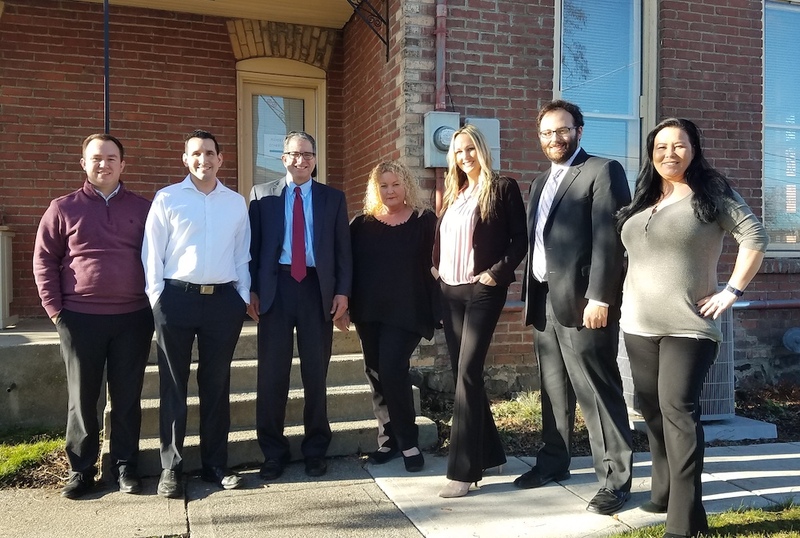 Mr. Steven litigates landlord/tenant cases involving eviction, ejectment, commercial litigation, fair housing claims, and a variety of other landlord-tenant issues. He is one of the few attorneys in Washington to actually defend a fair housing case in a federal court jury trial. Mr. Steven is acting counsel for numerous property owners, landlords, management companies, mobile home parks, subsidized housing providers, and the Spokane Housing Authority. He is active in legislative reform and was advisory counsel for the Washington Apartment Association (www.waapt.org) now Washington Rental Owner’s Association. Mr. Steven is also affiliated with the Manufactured Housing Communities of Washington (MHCW) and Washington Multi-Family Housing Association (WMFHA). Mr. Steven received his B.A. degree from the University of Oklahoma in 1987 and his J.D. degree from Gonzaga University School of Law in 1990. Mr. Steven is a member of the Washington State, Idaho, Spokane County, Federal, and Eastern District of Washington Bankruptcy Bar Associations. He is the author of numerous CLE and landlord training manuals as well as From Landlord/Tenant to Debt Collector/Consumer and Back Again, GONZAGA LAW REVIEW, Vol. 35, 1999-2000, No 2.; Fair Housing-Landlords’ Perspective, The Advocate Vol. 57 No. 3/4 March/April 2014.; and most recently A Comparison of Residential Tenancies in Idaho and Washington State (2013), now available on the internet at on the Idaho Bar Association website (isb.idaho.gov/pdf/temp/tenancy_law.pdf). As a licensed Instructor in Real Estate, Mr. Steven frequently lectures to attorneys, property managers, law enforcement, and owners at continuing legal education programs. For the last several years, Mr. Steven has been an invited speaker at the “Trends” Conference in Seattle, Washington – the Northwest’s largest rental housing management conference. As one of the most highly evaluated CLE instructors statewide in 2003, Mr. Steven was selected by the Washington State Bar Association to speak in the WSBA Encore “Best of CLE” series. Mr. Steven was an invited speaker at the Washington State Bar Association Real Property Section year-end meeting in 2012, the mid-year meeting in 2014 and again in 2016. For the last several years, Mr. Steven has been an invited speaker at the HUD/WSHRC Annual Spring Fair Housing Conference in Spokane, Washington. Steven Law Office is located in Spokane, Washington in the immediate vicinity of the Spokane County Court House. Mr. Steven represents landlords, lessors, property management companies, homeowners, affordable housing providers, mobile home parks, manufactured home communities, and homeowners’ associations in matters related to occupancy and fair housing issues. We represent commercial landlords as well as residential landlords. We perform evictions, ejectments, and lien proceedings against individuals who fail to perform their duties as tenants or occupants of real property. Mr. Steven provides services in all counties east of the Cascade Mountains. Mr. Steven is counsel for the local Housing Authority and we are well-versed in tax credit, section 8, public housing, and other affordable housing programs. A large part of our practice is dedicated to defending property owners charged with housing discrimination and violations of tenant’s civil rights. We work closely with HUD and the Human Rights Commission to resolve these issues. We are experienced in litigations in both state and federal court. New and existing clients are welcome to bring, or send, new eviction cases to our office, without appointment, Monday through Friday from 8:30 a.m. through 4:30 p.m. You may start your case by e-mailing or faxing documents to our office. Please contact our office today to request a landlord-tenant packet with sample leases and forms. Since housing is what we do, we are uniquely qualified represent you and your housing issues. My practice emphasis has enabled us to generate a large resource library which enables me and my staff to properly answer your questions and efficiently service your needs.